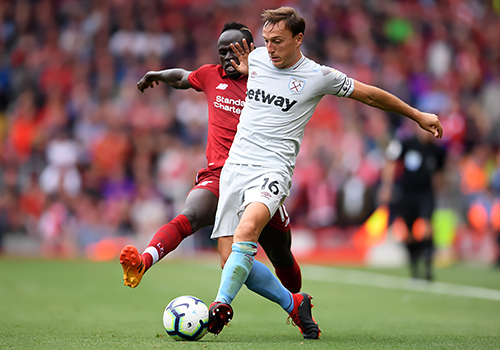 Liverpool head to the London Stadium for Monday night's clash with West Ham United as Jürgen Klopp's side seek to consolidate their lead at the top of the Premier League. The Hammers claimed the notable scalp of Arsenal at the start of January but have since hit a run of three defeats on the bounce, including an FA Cup upset at the hands of League One side AFC Wimbledon. 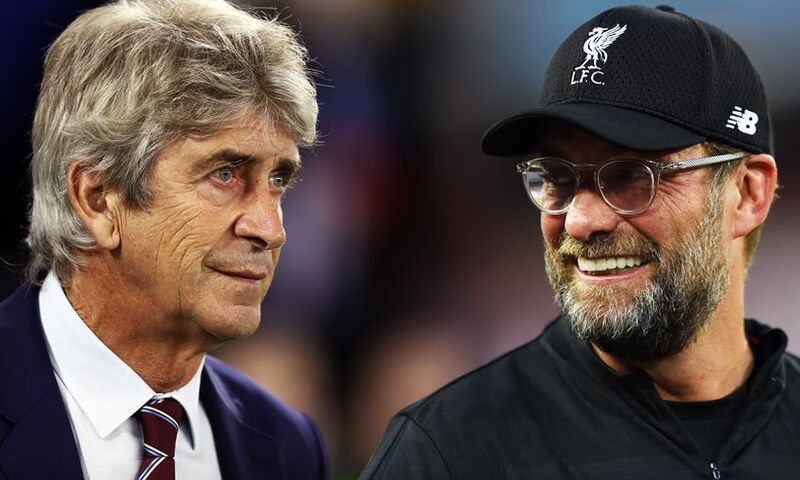 Manuel Pellegrini will be demanding a reaction from his players against the Reds - so, what can we expect from them in the capital? What's going on with the Hammers' form at the moment? West Ham have always had the ability to raise their game against the bigger clubs but then, for some reason, the smaller teams would roll us over, as they have done recently. At the time of the Arsenal game, I thought it was a great performance and maybe the start of bigger and better things for the Hammers. With hindsight, Arsenal were not at their best and we maybe just got lucky. What's your progress report on the Hammers since that 4-0 loss to Liverpool on the opening day of the season? We went on to lose the next three after that game, so to look back at where we were then, bottom with no points, to having 31 points now, we have surpassed early expectations. Winning five out of seven in December against the easier teams perhaps masked that there is still a lot of work needed for this Pellegrini team to progress, and a top-six challenge is still a long way off. Which player has surprised you most so far this term? 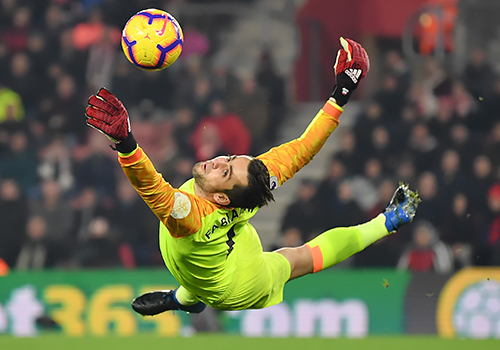 Lukasz Fabianski has been the biggest and most welcome surprise. When we forked out £7m for a 33-year-old goalkeeper from a relegated team many supporters were unimpressed with the signing and the club's ambition. But Fabianski has been in tremendous form and is one of the best 'keepers in the Premier League. He is loved by West Ham fans and is likely to be picked for the coveted Hammer of the Year award at the end of the season if he carries on with his great performances. What have you made of Liverpool's season so far? Klopp is a manager possibly every fan would like at their club. He seems to connect well with supporters wherever he has been, that buys him time to be able to build a club in his image. He has now been at Liverpool long enough to mould them and you can see why he was so loved at Dortmund and why he brought them success. At the beginning of the season, I tipped Liverpool to win the Premier League on a prominent Liverpool fan website. I said it was Liverpool's time to shine and I was the only one of the 19 opposition supporters to predict the ultimate success this season. I hope that prediction comes true! Liverpool will dominate the possession so West Ham need to be smart when we have the ball. We need to break with pace and we may be able to get behind your defence. If we are slow out, you will harass us and recover. Which one Liverpool player would you like to see in a West Ham United shirt? It would be too obvious and boring to choose Mohamed Salah. As we're shipping goals in the last few games, against Wimbledon and Wolves, I would choose Virgil van Dijk - what an immense defender he is! How do you expect the Hammers to line up? 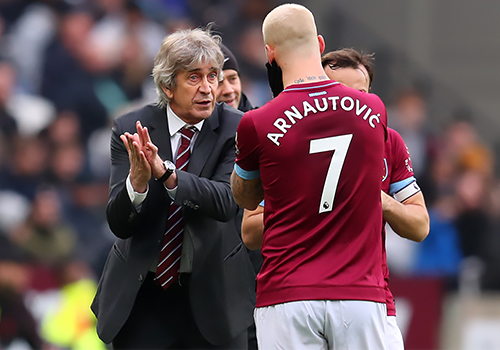 Pellegrini loves his 4-4-2 formations and so do most Hammers fans as it enforces the West Ham way, but that does leave us very light in the middle. 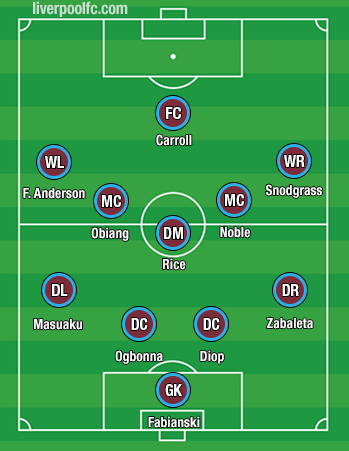 With Arnautovic probably out injured with a bruised foot, I believe we will go five in the middle for this game. We have so many injuries and out-of-form players at the moment it's hard to pick the team, but my prediction is as follows. My normal prediction is 1-0 to West Ham as I hate predicting a loss for my own team, especially at home at the London Stadium. But that is my heart talking, my head is expecting a convincing Liverpool win to push on with your title ambitions.